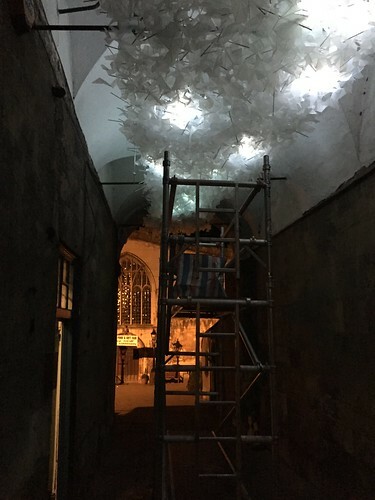 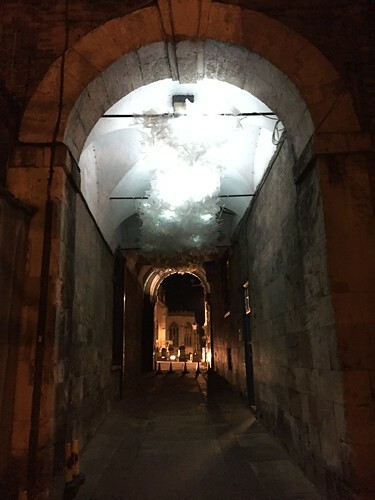 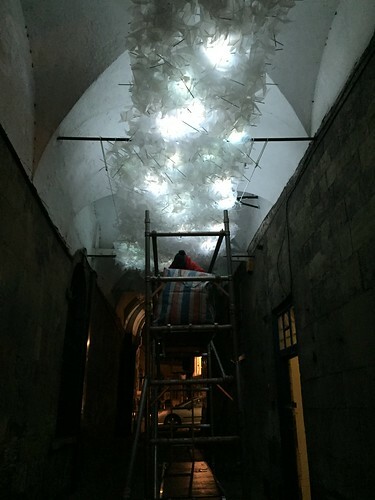 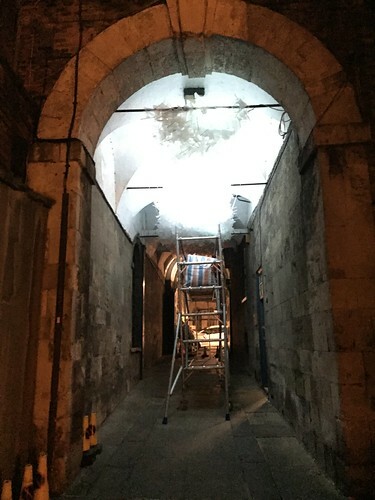 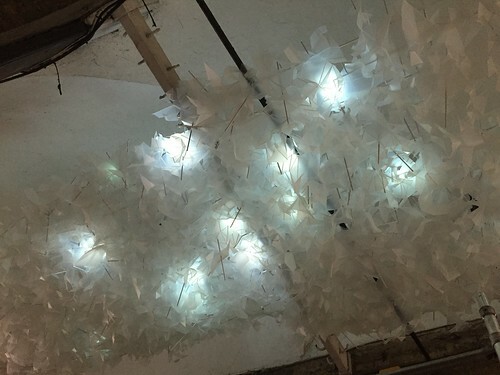 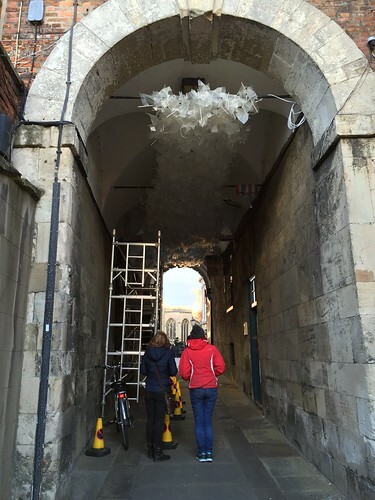 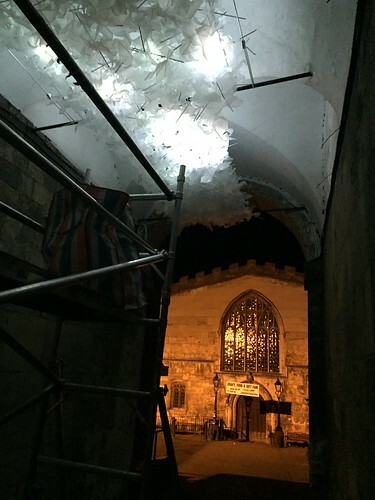 Esther Rolinson was commissioned to create Flown for the Illuminating York Light Festival on the 28th to 31st October 2015. 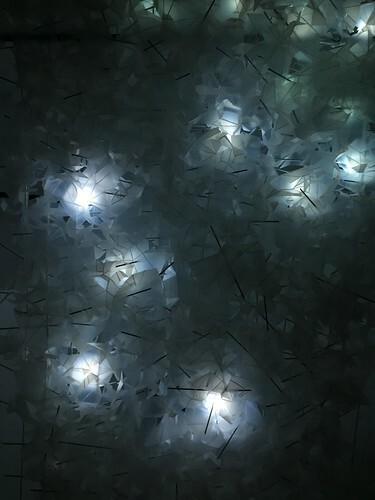 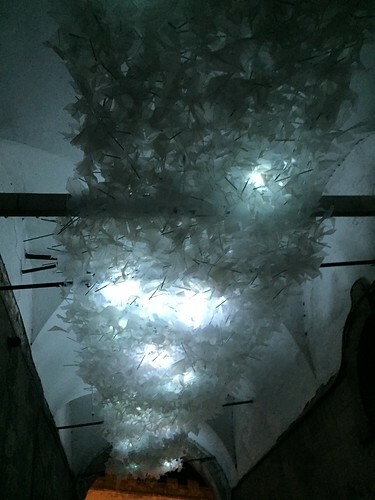 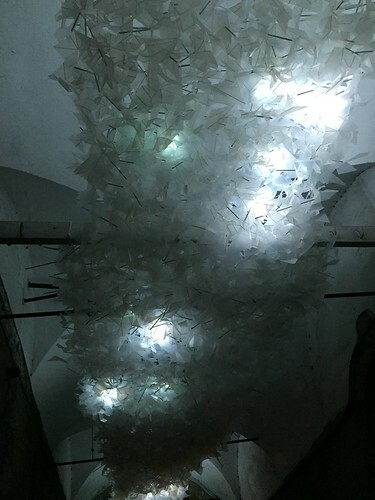 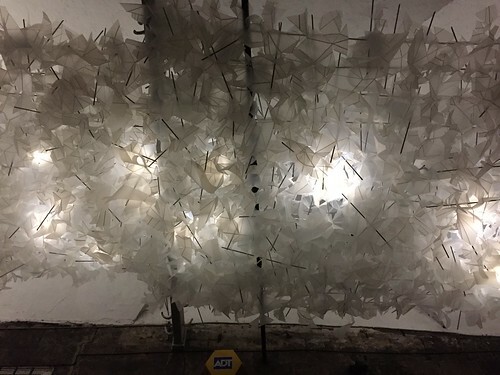 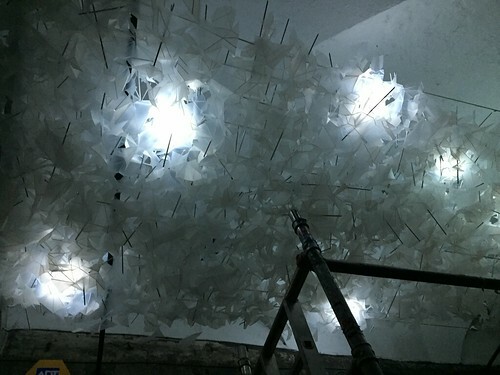 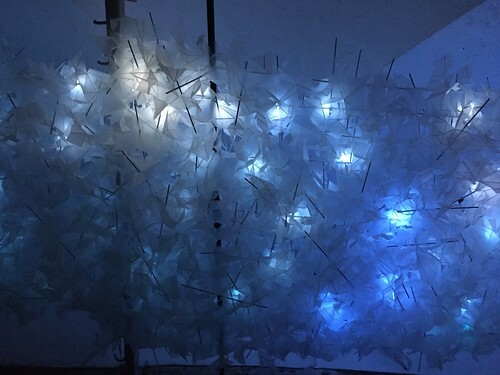 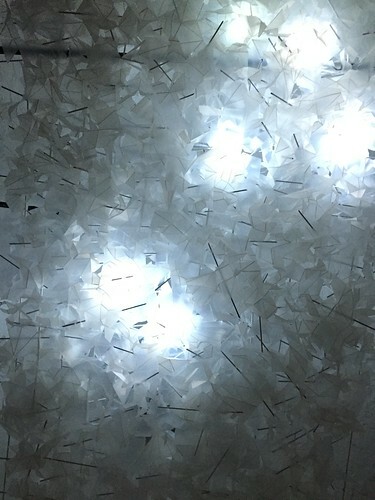 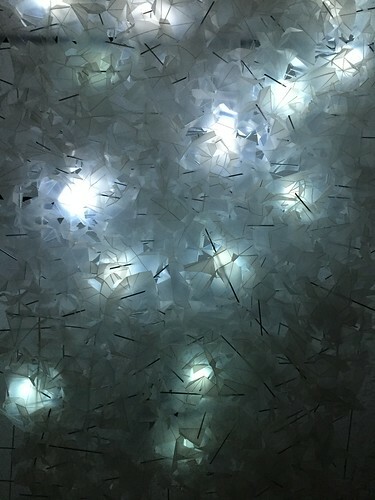 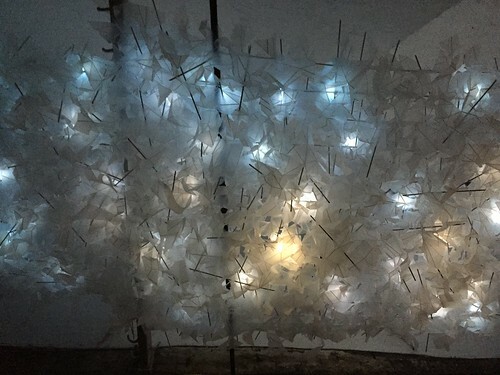 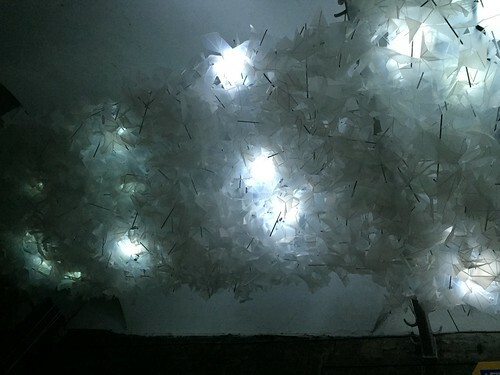 The installation features hundreds of suspended hand cut and folded polypropylene sheets that are illuminated using a custom lighting rig. 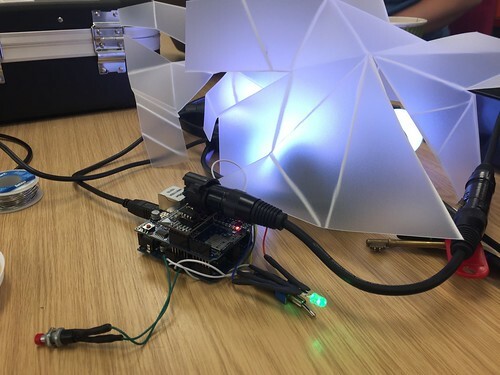 Interact's role in the project was to design a control mechanism that would allow long lighting sequences to be stored and played through the lighting rig without the need for a dedicated desktop computer. 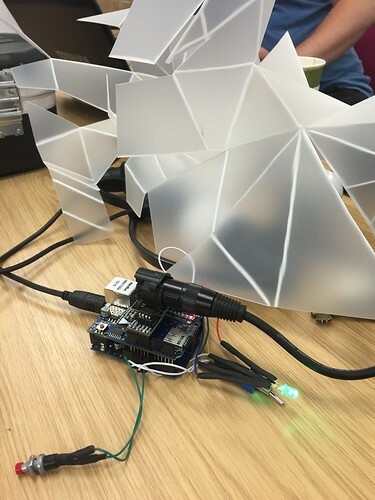 The system developed uses an Arduino Uno micro-controller with an SD card reader and DMX lighting control board. 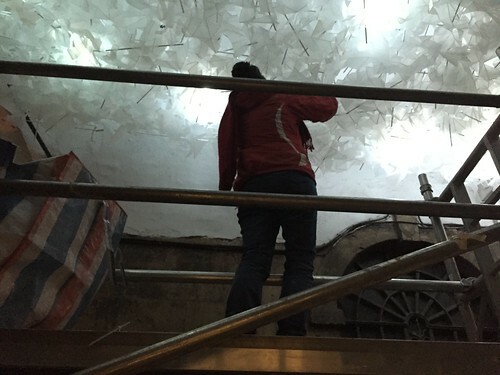 Other people involved in the project included Graeme Stuart and Luke Woodbury. 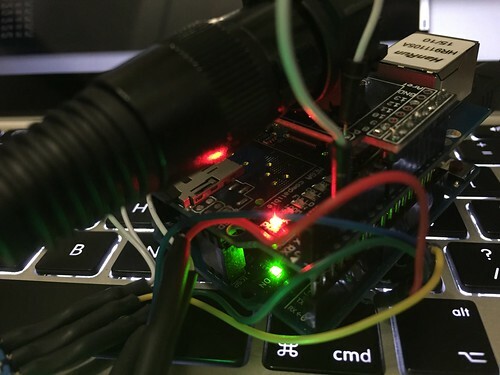 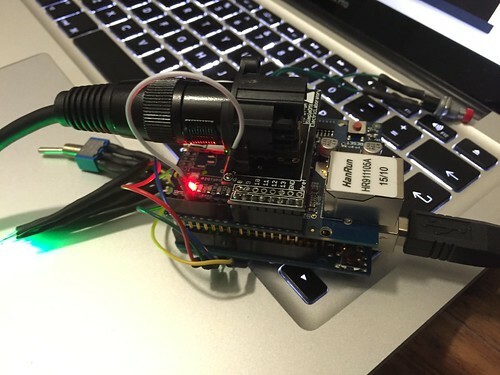 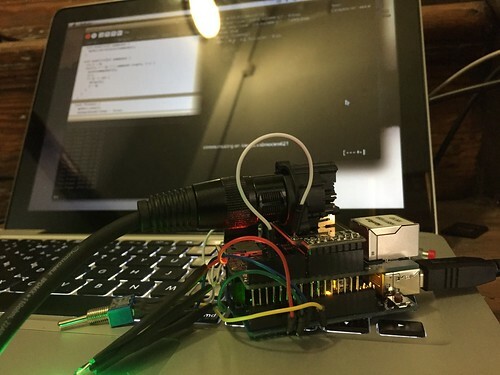 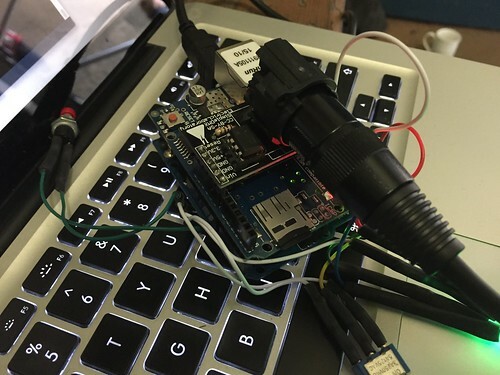 The controller consisted of an Arduino Uno with DMX lighting control and SD Card shields, custom software and additional hardware/electronics.